Elcurrency is a broker that that will let you trade primarily with cryptocurrencies. There are also some other assets, like commodities and stocks, but they are always traded in pairs with cryptocurrencies. The minimum deposit is $500 to open a trading account. Elcurrency also offers managed accounts and bonuses on deposits. The broker is based in Marshall Islands and also has offices in Great Britain. The main problem of Elcurrency is that it is an illegal broker. Here is why. Elcurrency obviously is not a cryptocurrency exchange. Because you can trade also stocks and commodities with it, it obviously is a broker that is using contracts for difference. This kind of trading with derivatives is always regulated and requires a licence. But Elcurrency is not regulated at all, it has no licence in the UK nor anywhere else, which makes it a broker that is not allowed to offer investment services. The broker is obviously targeting European residents but cannot do it legally. Not only it is not regulated, but it also is offering bonuses on deposits, which is illegal in the EU. Also, managed accounts is another regulated investment services that Elcurrency is not licensed to provide. The only safe thing you can do in regards to this broker is to not trade with it all. This broker offers no protection at all. 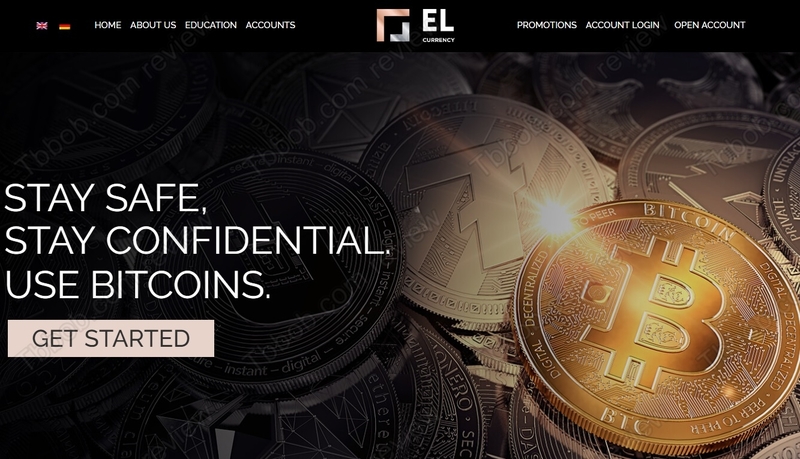 Elcurrency is an illegal broker, not a cryptocurrency exchange. Deposits are not protected with this broker, stay away from it! If you want to try financial trading, do it on a free demo with a regulated broker.